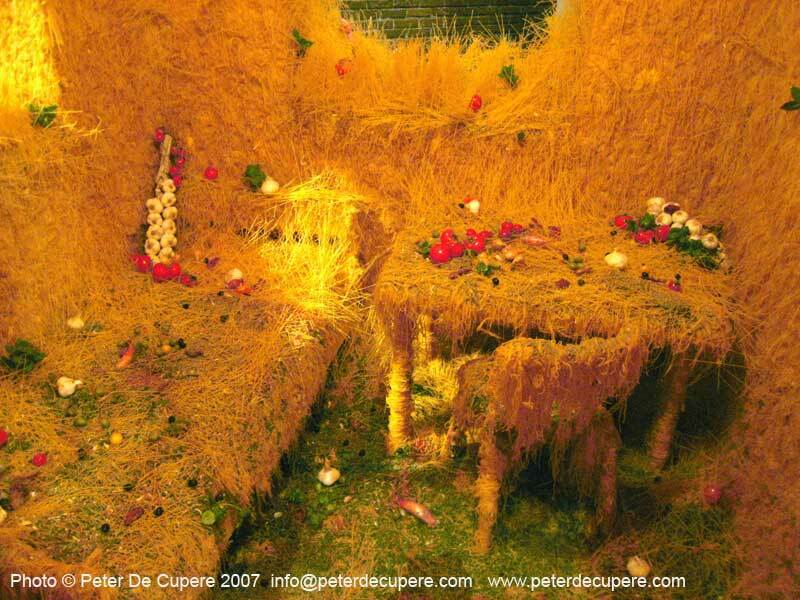 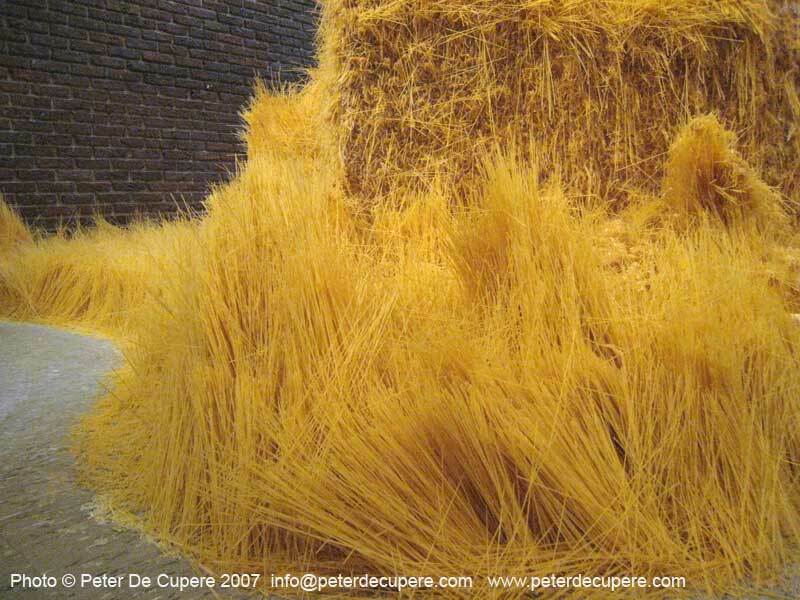 Peter de Cupere realised a new scent-installation in the exhibition 'Alles in wonderland' (all in wonderland) during the "Storm op komst" festival in Turnhout - Belgium. 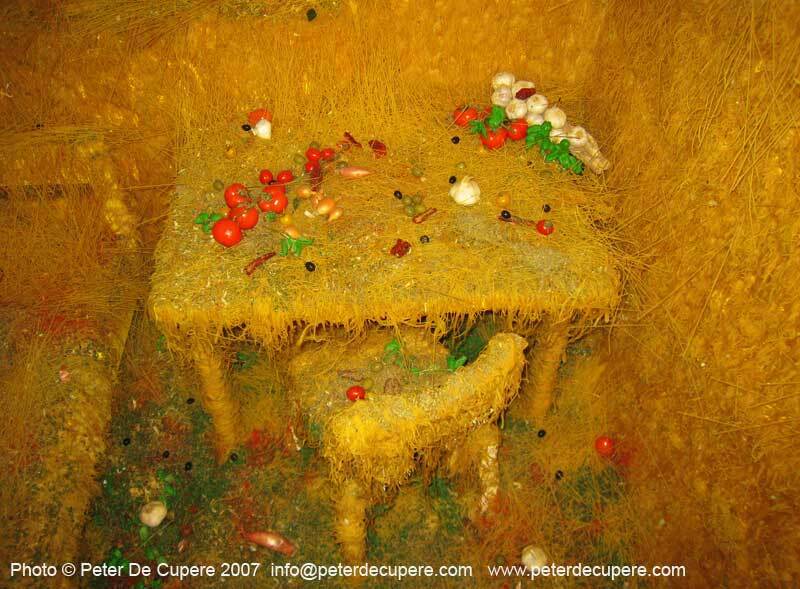 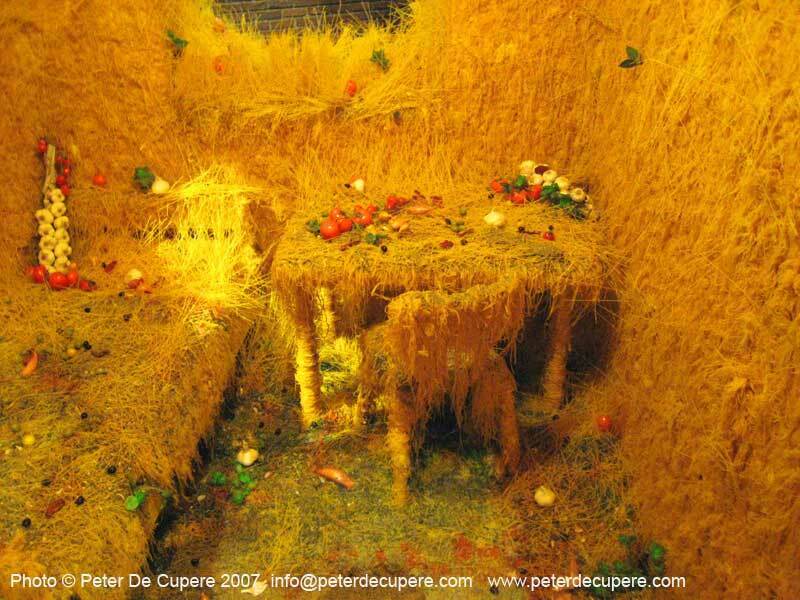 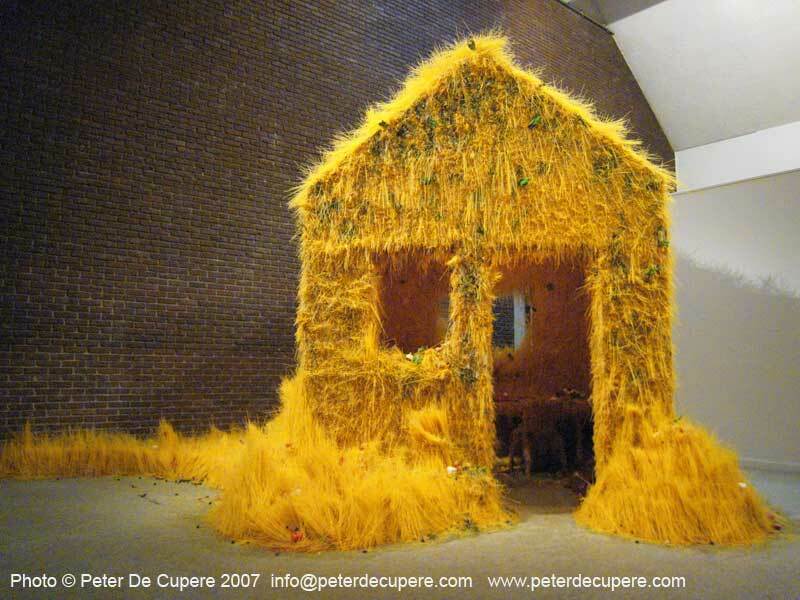 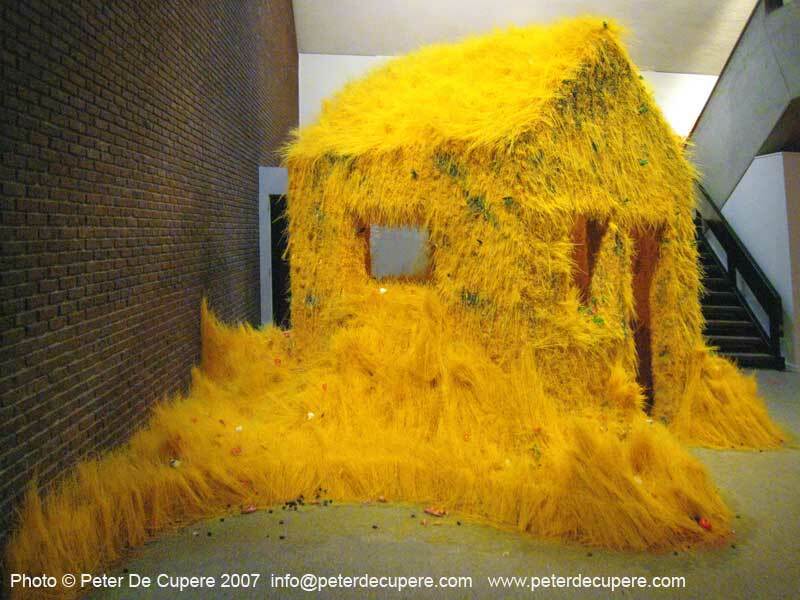 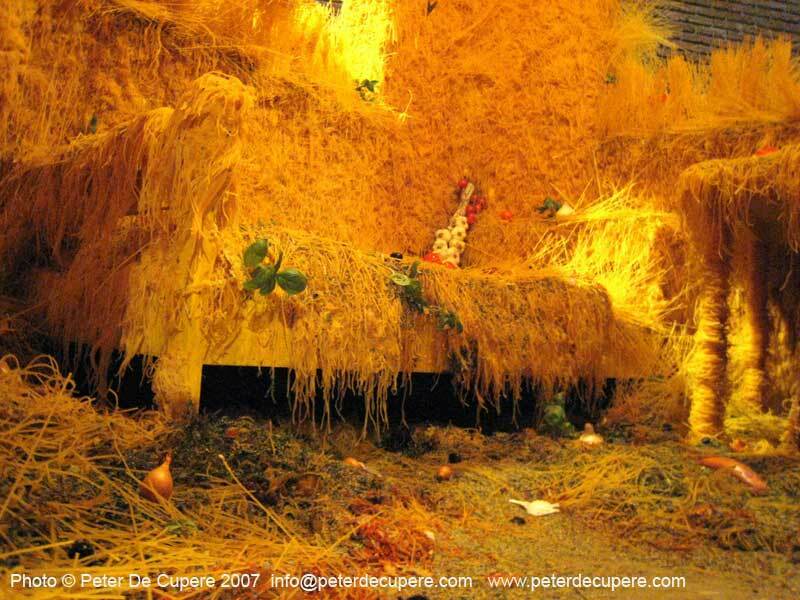 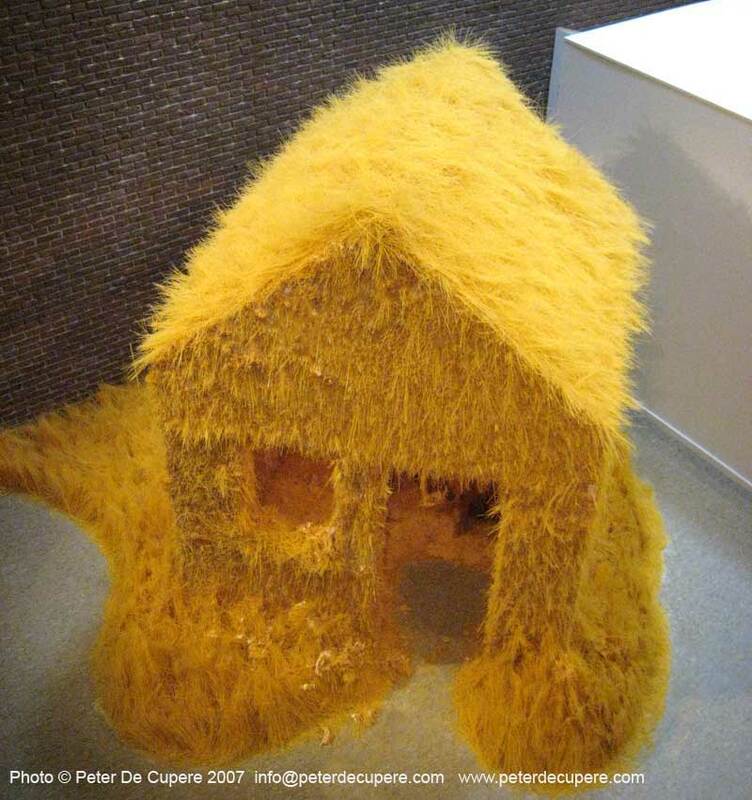 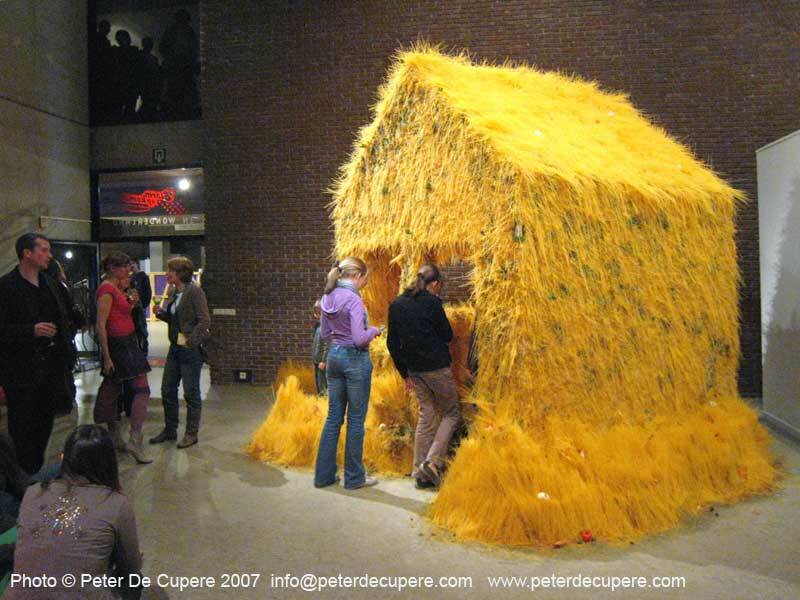 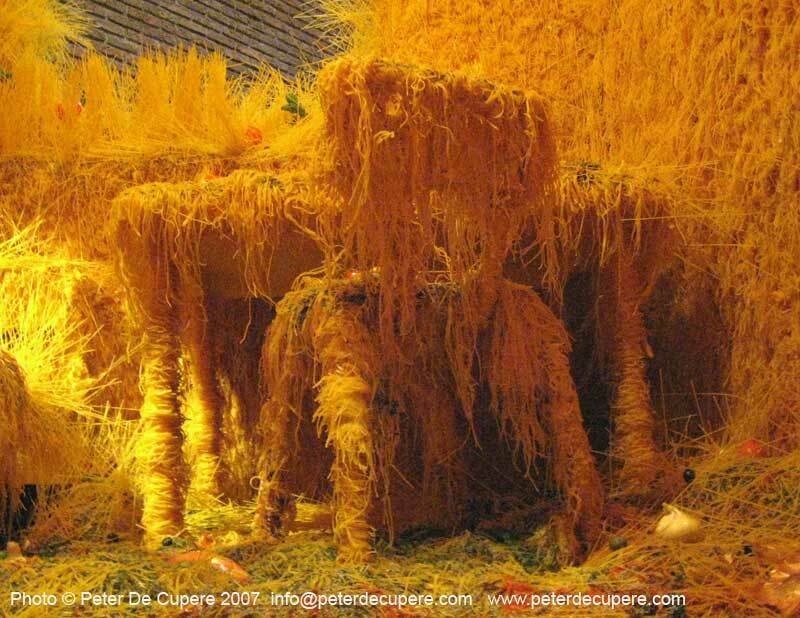 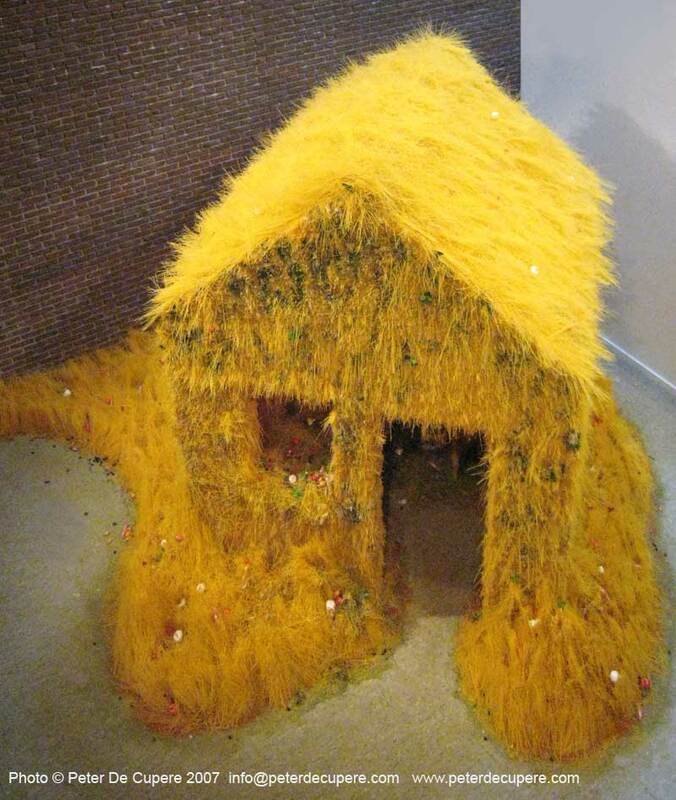 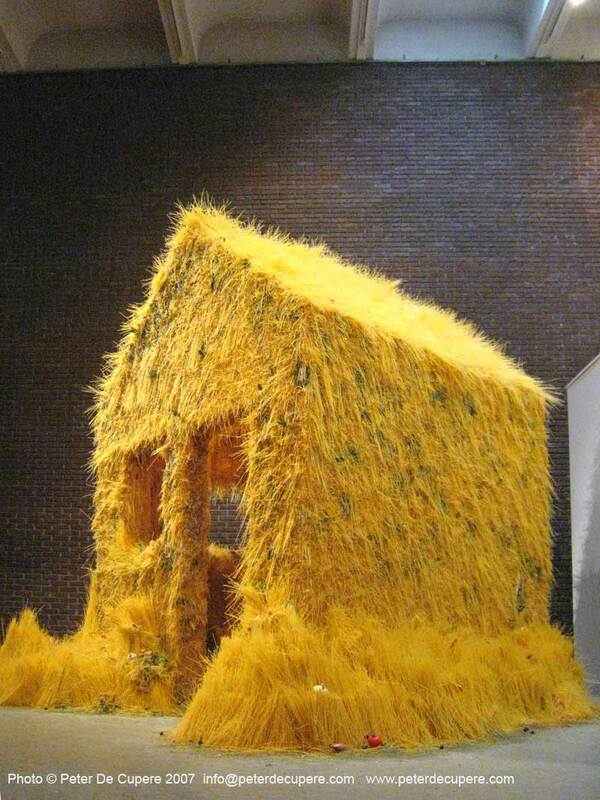 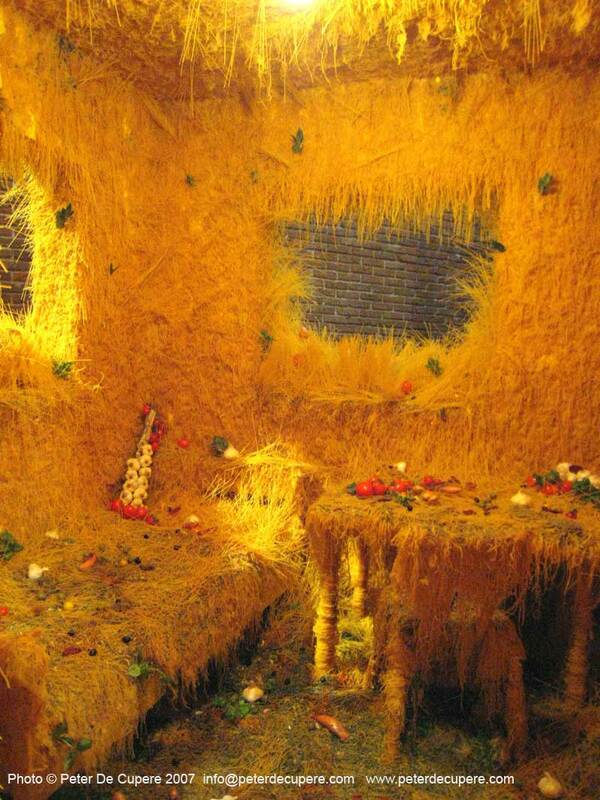 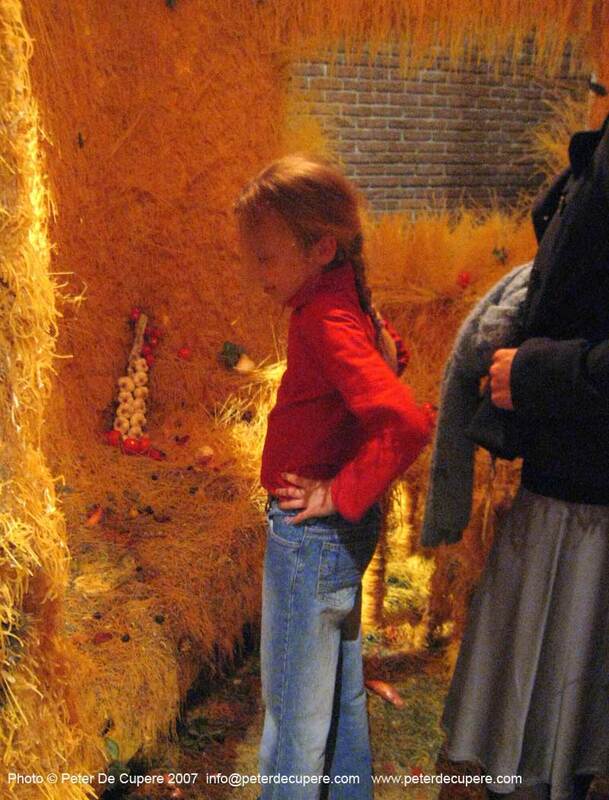 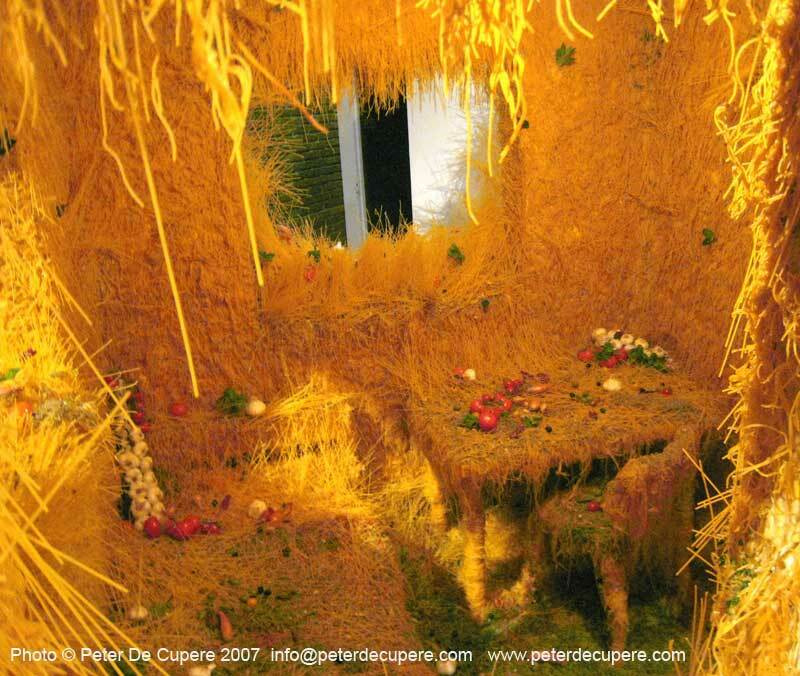 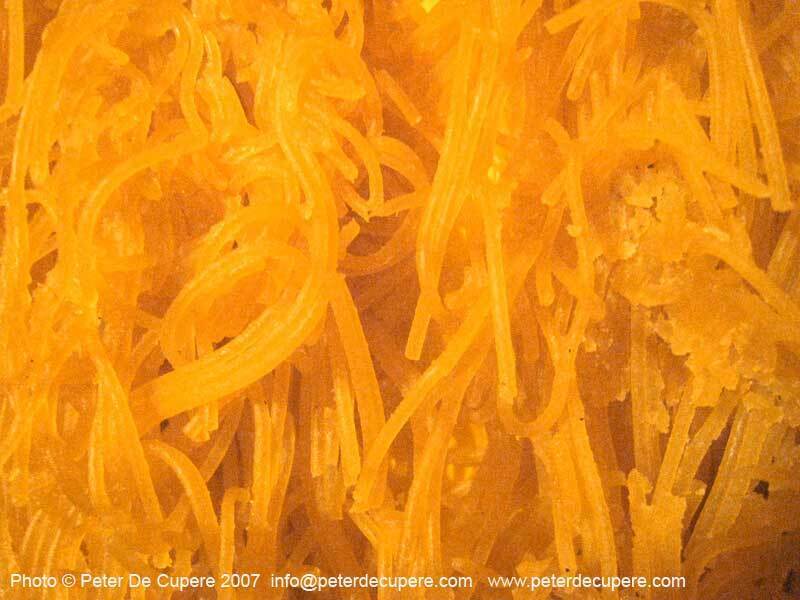 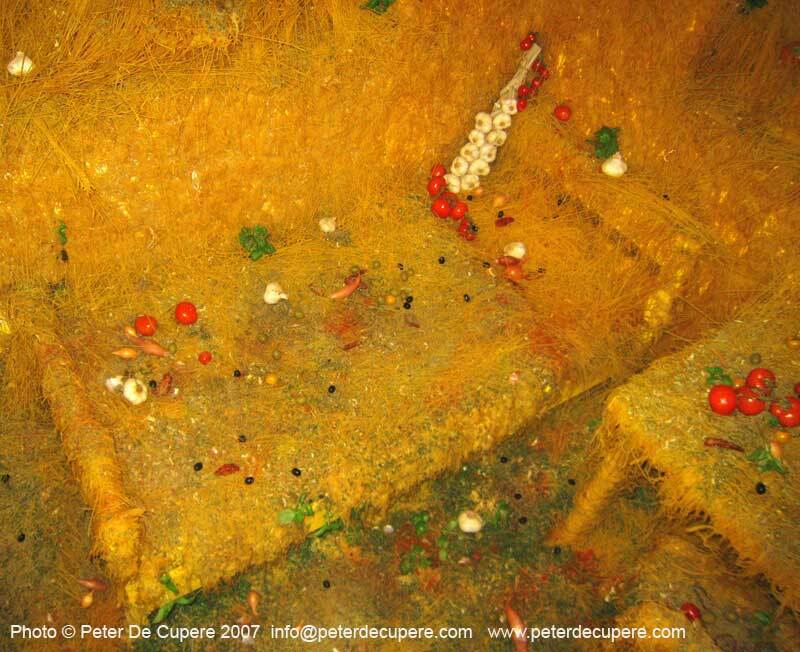 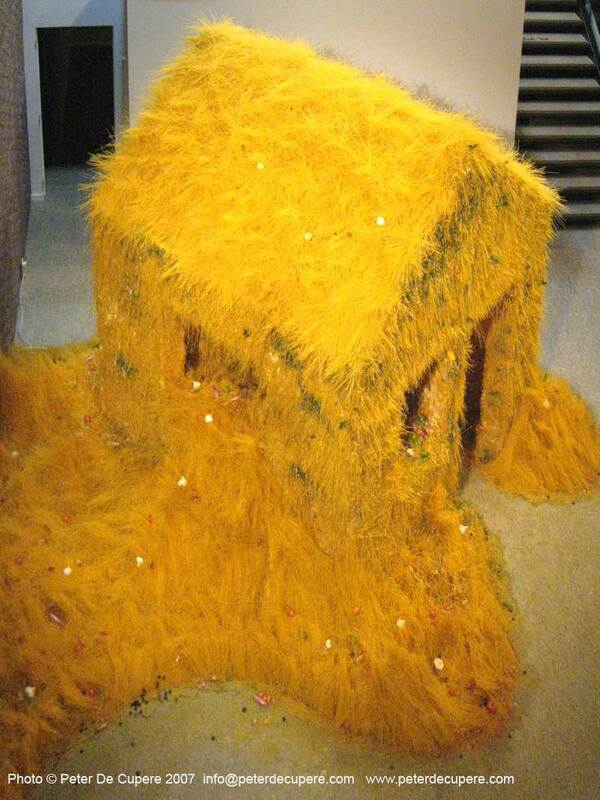 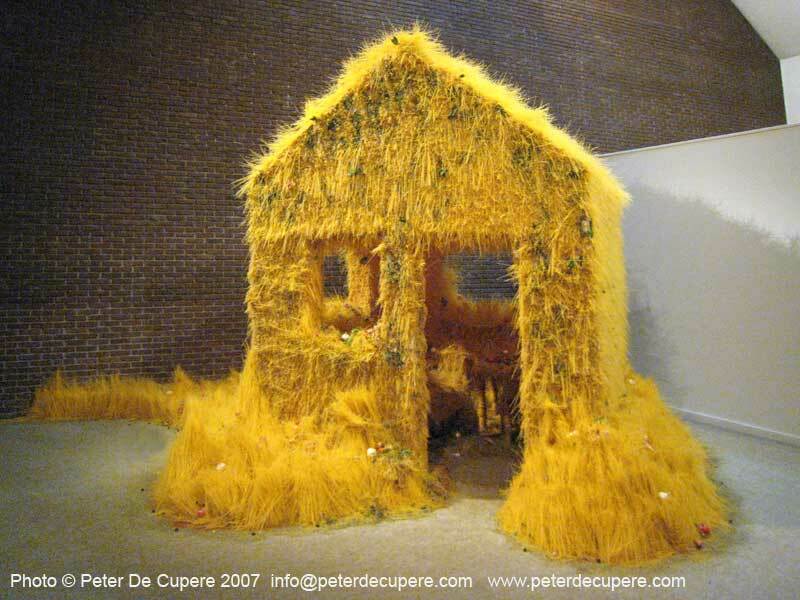 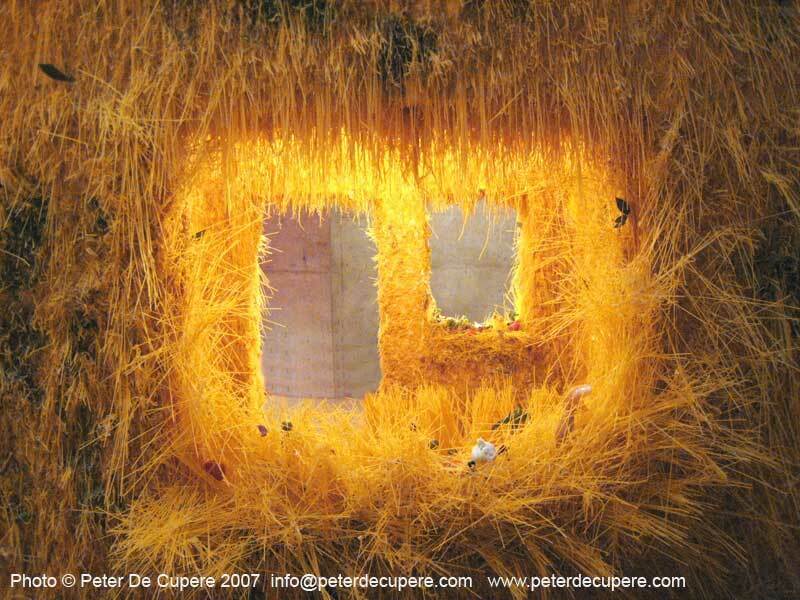 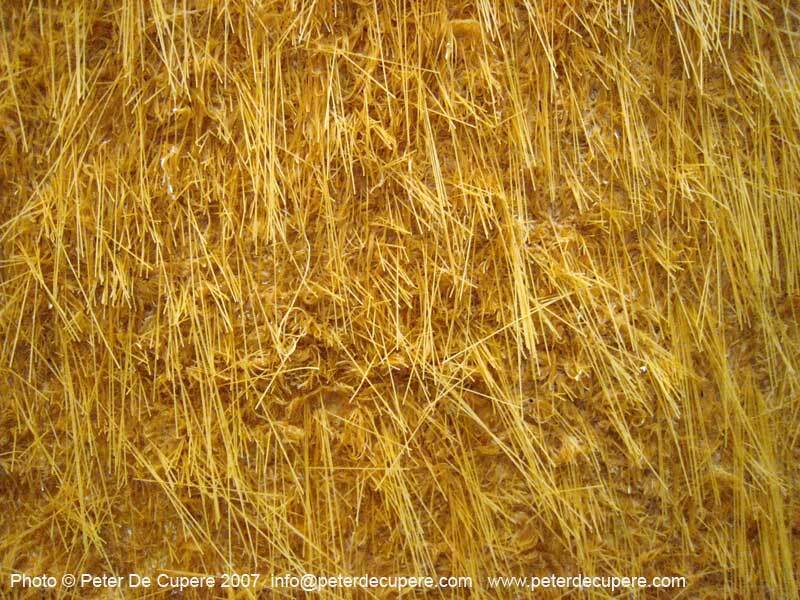 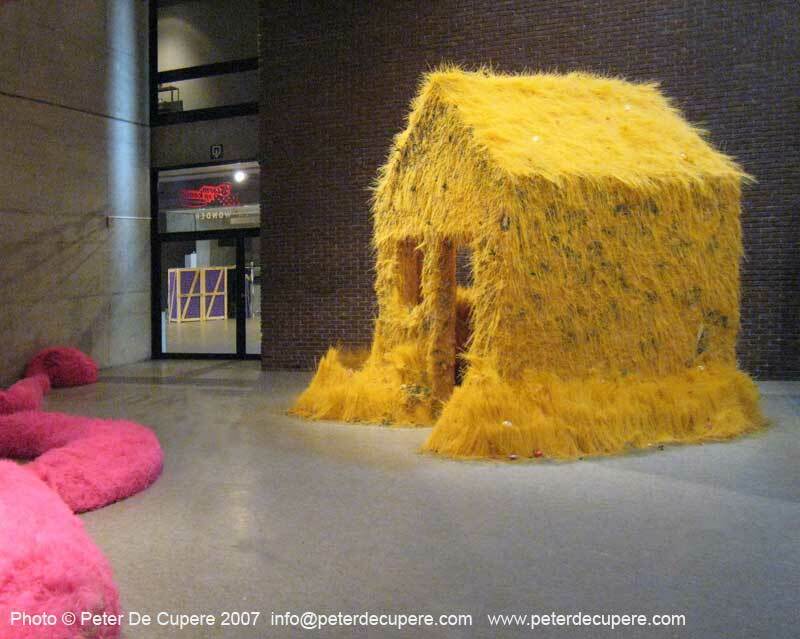 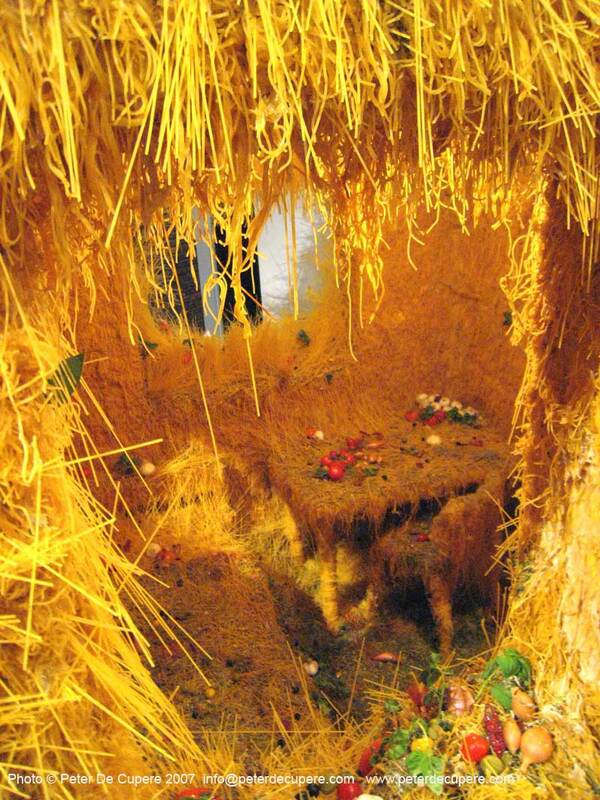 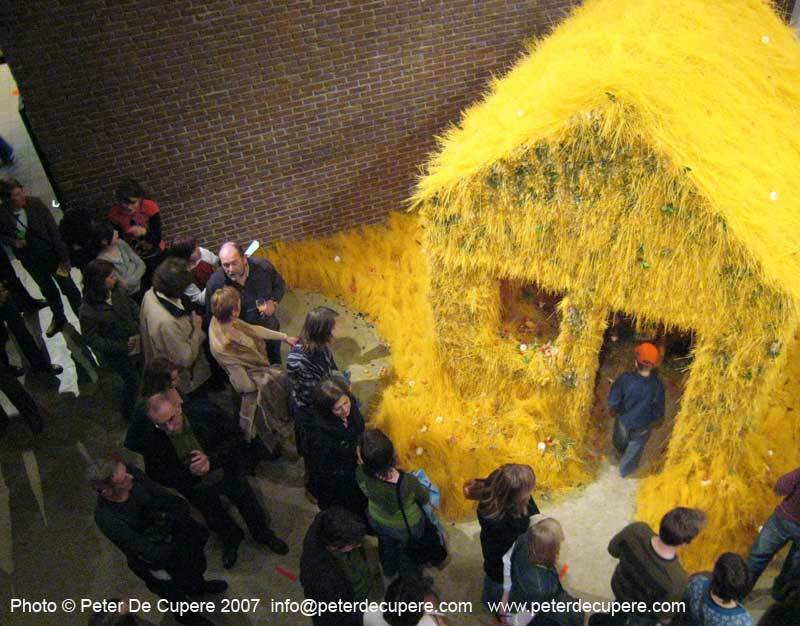 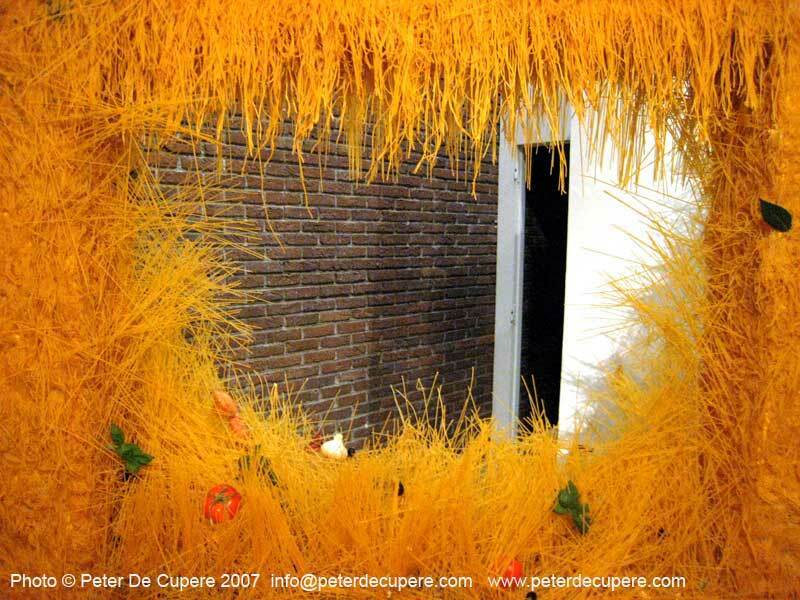 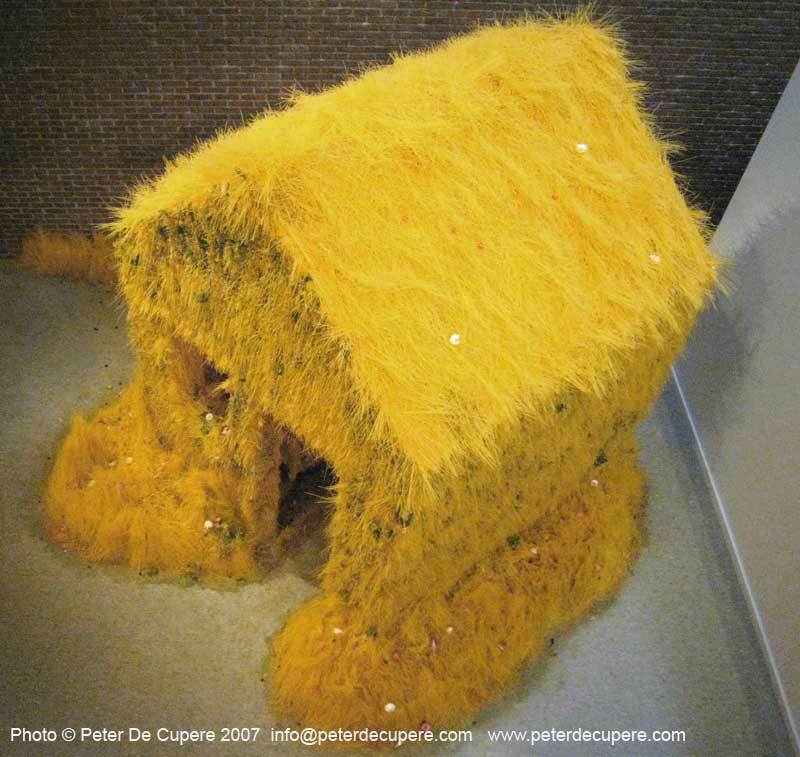 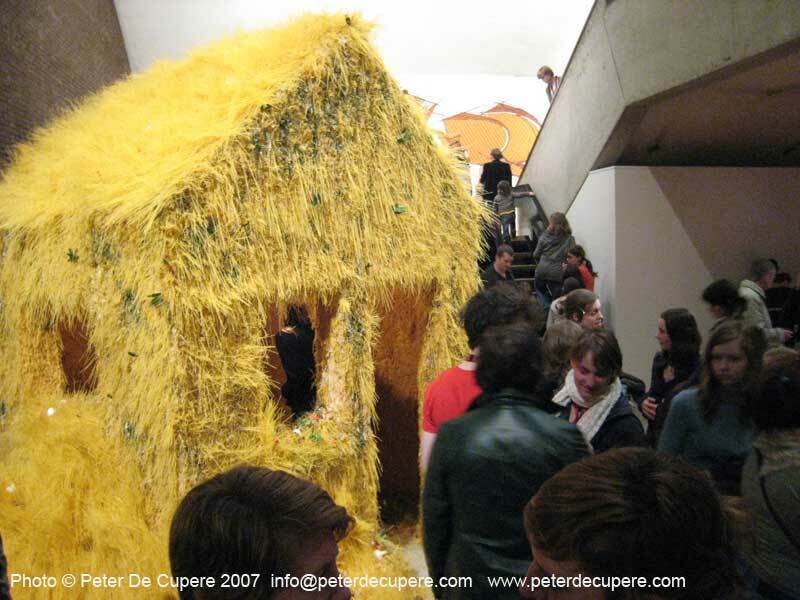 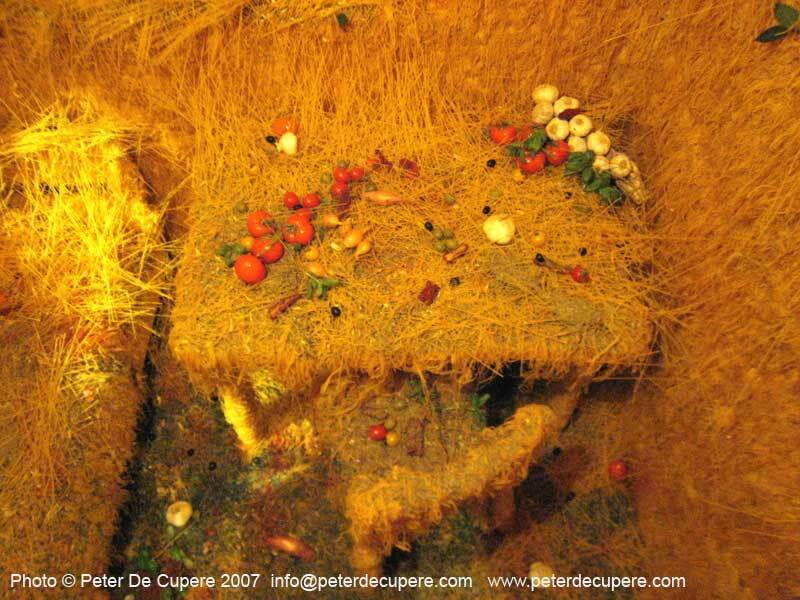 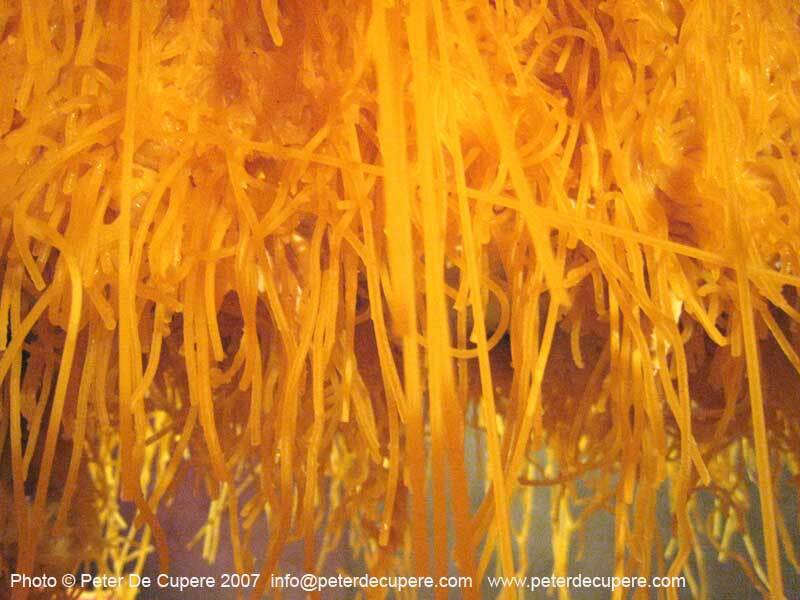 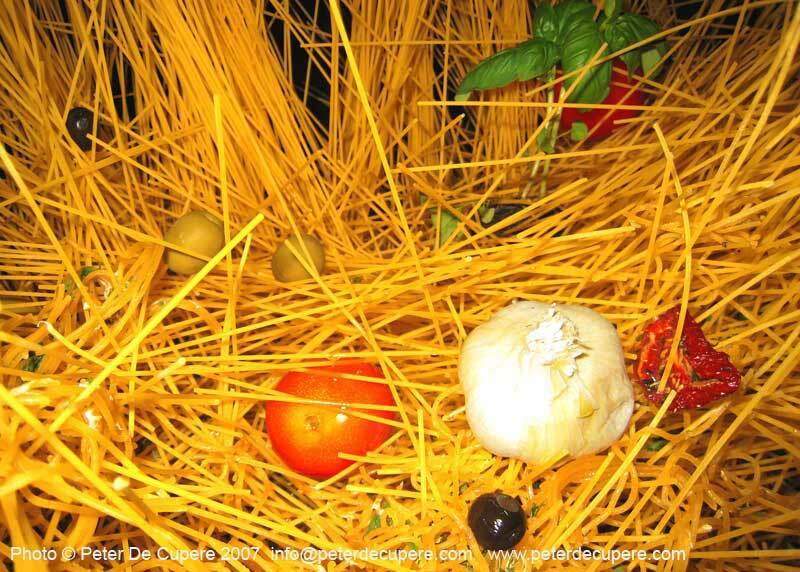 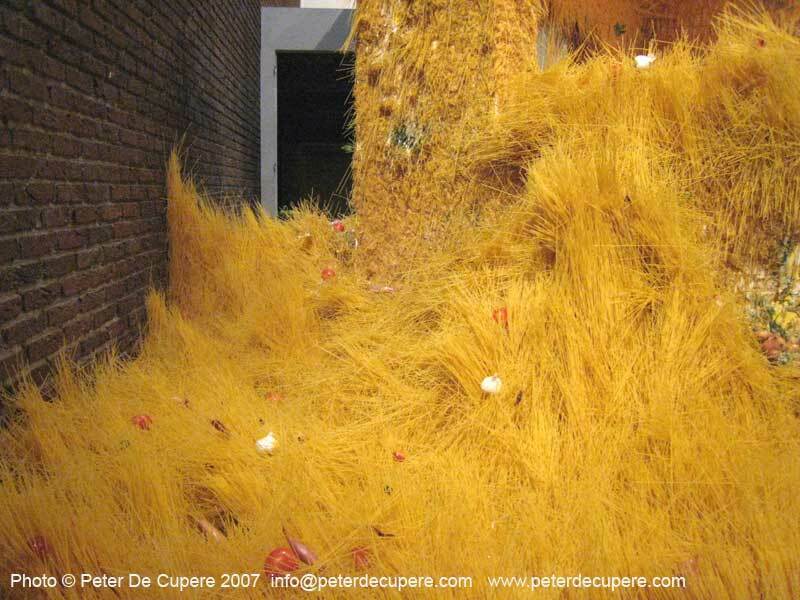 The work called "Spaghetti House" is made of 700 kg of boiled spaghetti and 200 kg dried spaghetti. 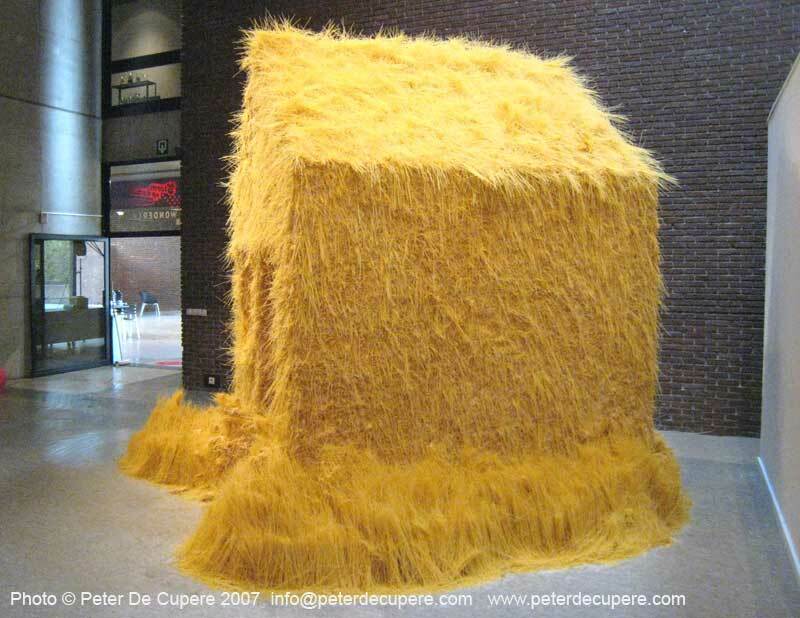 It took one week to complete the whole installation. 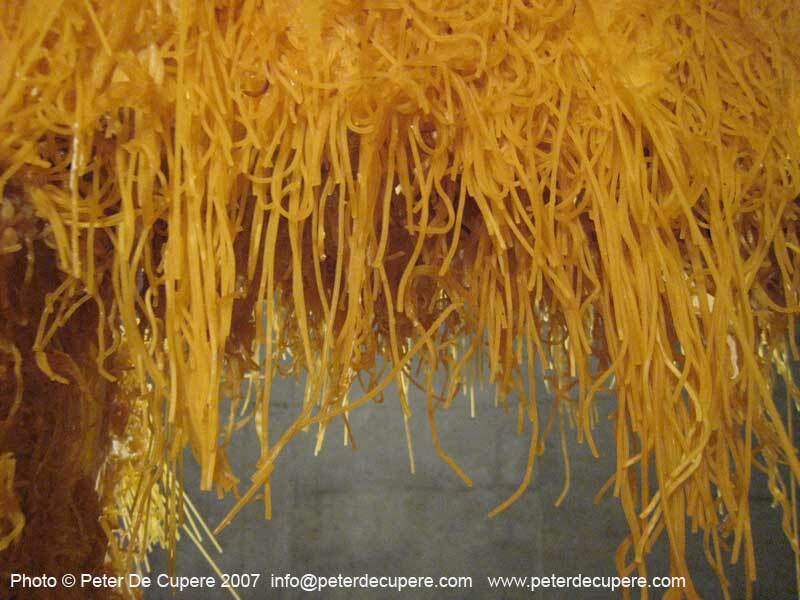 From morning till night 4 people were cooking and pasting the spaghetti. 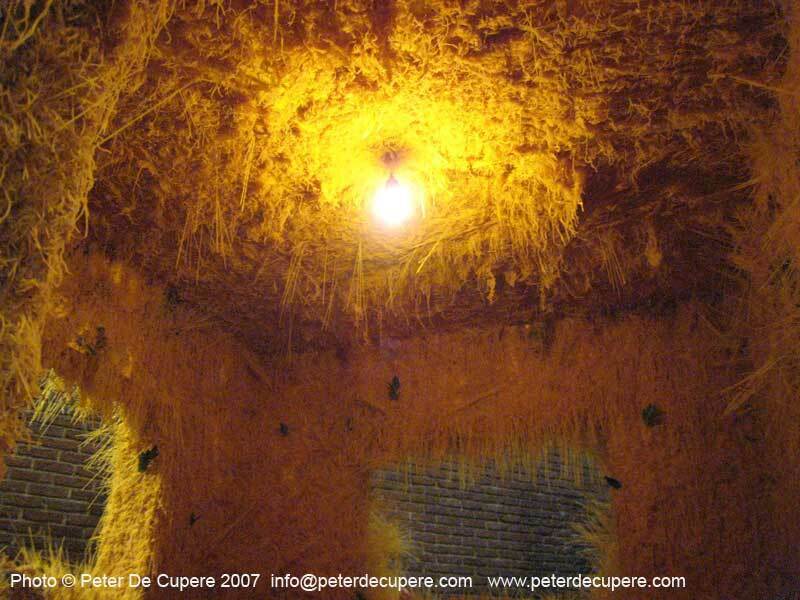 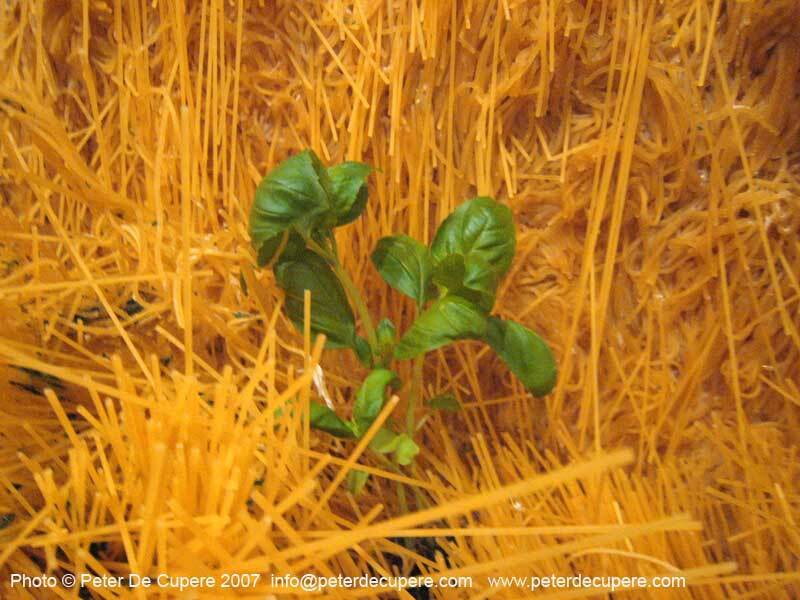 The installation was perfumed with typically Italian fragrances like basilicum, oregano, tomato extracts etc. 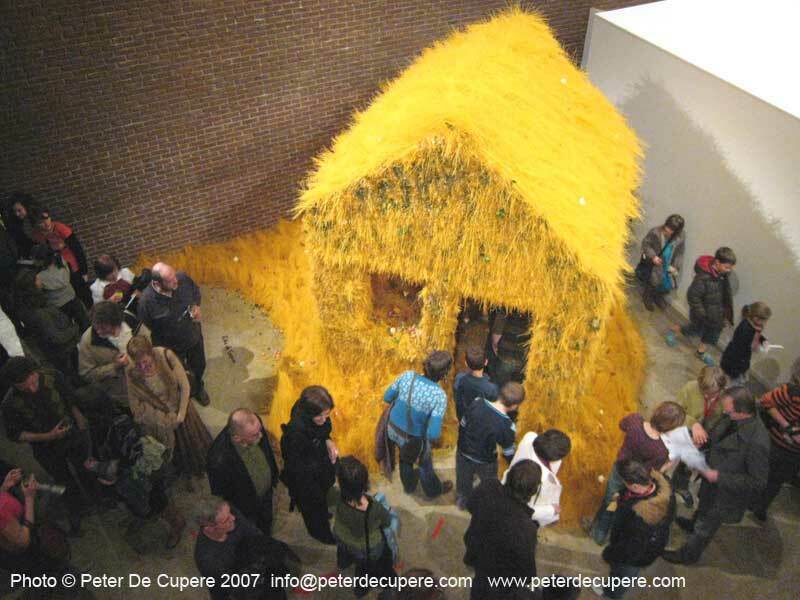 The exhibition took place in the art centre De Warande during a festival for children. 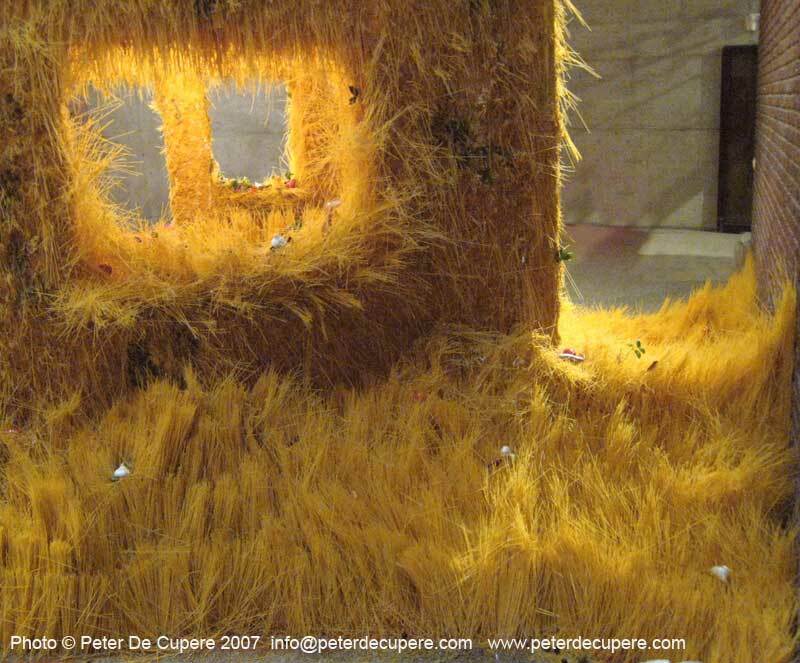 Other artists participating in the exhibition were Honoré d'O, Heidi Voet, Loreta Visic and many others.